I serve as the Unit Leader of the South Dakota Cooperative Fish & Wildlife Research Unit. My research interests include feeding ecology and energetics of fishes, and my students and I are currently working on trout management in the Black Hills, and pallid sturgeon ecology in the Missouri River. Originally from Virginia, I attended the University of Idaho (Ph.D.), West Virginia University (M.S.) and Davis & Elkins College (B.S.). Larry obtained his B.S. in biology (wildlife ecology) from Pennsylvania State University and M.S. and Ph.D. in human dimensions from Michigan State University. 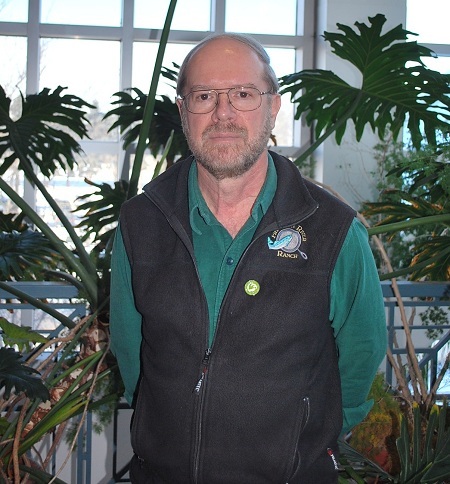 Larry is a Certified Wildlife Biologist and was a Certified Fisheries Scientist. I received a B.S. in Wildlife Science from Oregon State University (1997), and M.S. 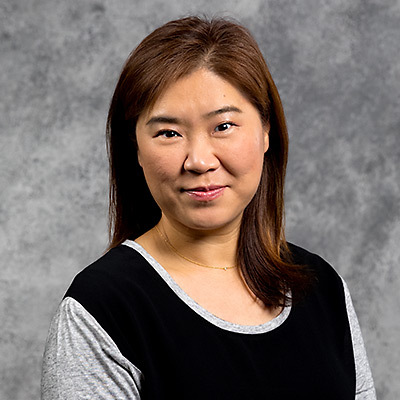 in Wildlife Science from South Dakota State University (2000), and a Ph.D. in Forest Resources (Wildlife) from Mississippi State University (2004). I served as the Director of the Illinois Natural History Survey's Forbes Biological Station from 2004-2011. I developed a passion for wildlife and the outdoors on a small farm in central Pennsylvania, spending my free time duck hunting and bass fishing on the Susquehanna River. I earned a B.S. in Wildlife Biology from California University of Pennsylvania in 2014 and spent the next four years working as a waterfowl technician for Ducks Unlimited, VA Department of Game and Inland Fisheries, MN Department of Natural Resources, and Ph.D. students from Mississippi State, Texas Tech, and SDSU. I am currently working with Dr. Joshua Stafford and Dr. Aaron Pearse on my master’s degree, studying the post-fledging ecology of mallard ducks in North and South Dakota using satellite telemetry. Sam is from southwestern Connecticut and graduated from the University of Delaware with a BS in Wildlife Conservation and Ecology in 2015. 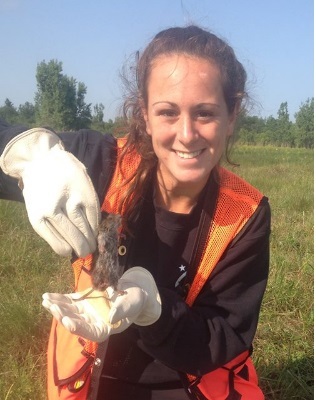 She went on to receive her MS in Wildlife and Fisheries Resources from West Virginia University in 2017 where she studied the effect of the small mammal community on spatiotemporal distributions of blacklegged ticks and Lyme disease prevalence on Fort Drum Military Installation, NY. During her undergraduate and graduate degrees, she participated in various projects, such as those that involved bioenergetics for wintering black ducks, mesocarnivore occupancy, fawn mortality, and monitoring the movements of black rhinos in South Africa. 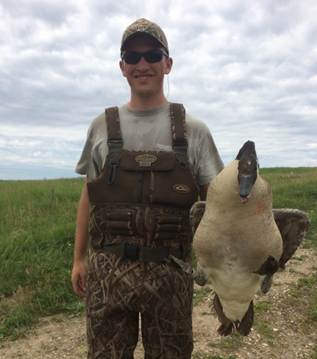 Currently, Sam is working towards a PhD researching waterfowl nestling survival and predator community ecology with Dr. Josh Stafford and Dr. Aaron Pearse in the Department of Natural Resource Management at South Dakota State University. Austin is from Rapid City, South Dakota and received his BS degree from South Dakota State University. 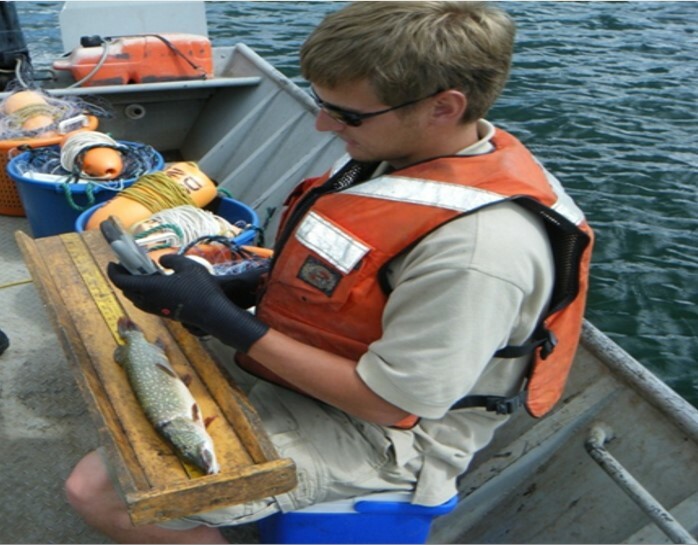 Before beginning graduate studies, Austin worked as a Fisheries Research Technician with the South Dakota Department of Game, Fish and Parks. His primary duties included trout population assessments and habitat restoration in the Black Hills of western South Dakota. Austin is currently working on his master’s degree, evaluating the role of mink predation on brown trout abundance and size structure in Rapid Creek, SD with Dr. Steve Chipps. Will is from North Carolina and received his B.S. in Wildlife and Fisheries Biology from Clemson University in 2017. During his undergraduate career he interned with Clemson’s James C. Kennedy Waterfowl and Wetland Conservation Center and with the South Carolina Department of Natural Resources. Will is working on his M.S. 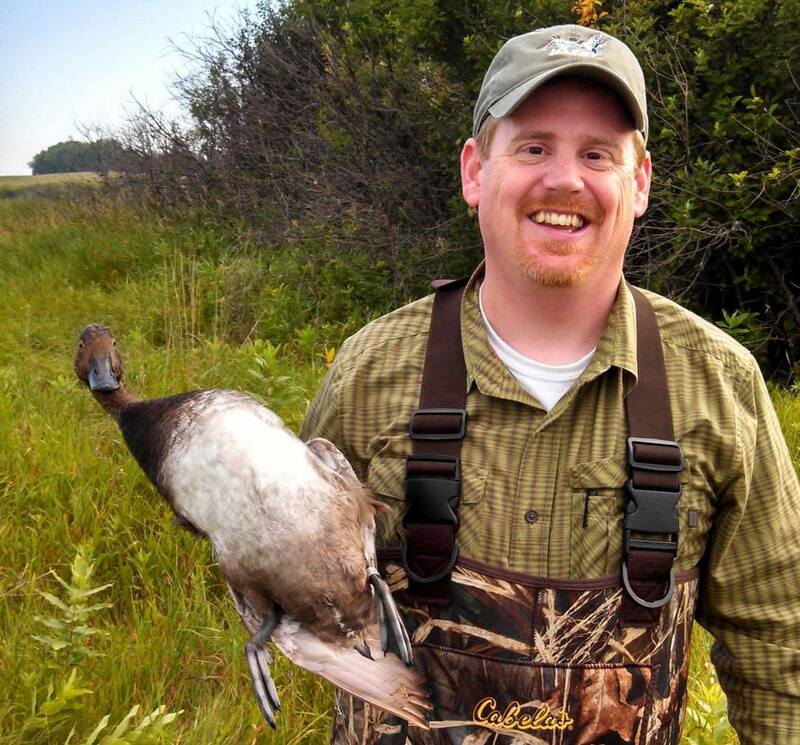 degree evaluating the use of cover crops for grassland nesting waterfowl in Eastern South Dakota with Dr. Josh Stafford. Rebecca grew up in Pennsylvania and graduated from Penn State University in 2015 with a B.S. in Ecology. Before beginning her degree at SDSU, she worked throughout the Midwest and Northeast as an avian field technician for an environmental consulting company. Rebecca is currently working with Dr. Tammy Wilson and Dr. Larry Gigliotti on her M.S. degree to help standardize and optimize the bald eagle monitoring program in Southwest Alaska National Parks. I spent my childhood in the outdoors chasing waterfowl, musky, catfish, and turtles. I began working at a local marina at the age of 12, which further fostered my love for all things water. I received my B.S. degree in Fisheries and Wildlife Ecology along with a minor in GIS from Northland College in 2016. 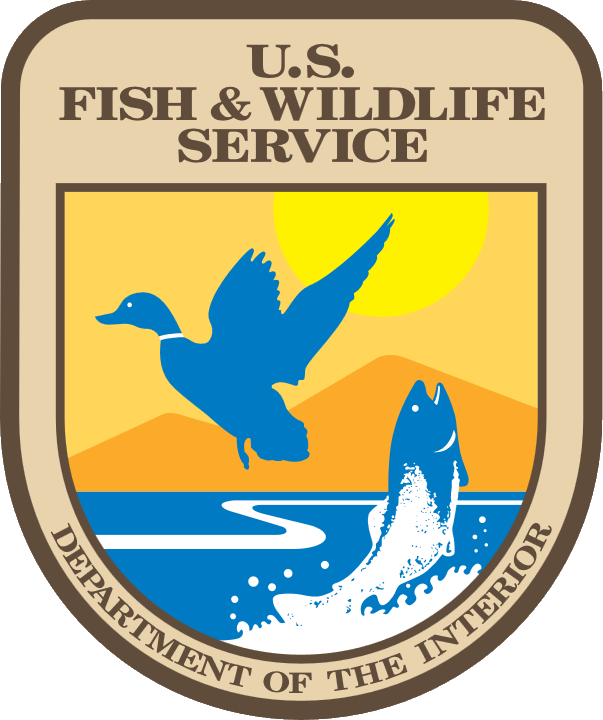 While in school I was able to work for the USFWS in Alaska, Whittlesey Creek National Wildlife Refuge in Wisconsin, as well as the USGS on the beautiful Lake Superior. After graduating, I worked for the WIDNR at the Escanaba Lake Research Station where I was able to research the mixed walleye fishery as well as develop and implement a large river IBI function (R Studio) for the state. I am now working on my master's degree studying the effect of water velocity and temperature on energy reserves, growth, survival, and dispersal distance of larval pallid sturgeon. Travis grew up in western Montana and graduated from Montana State University in 2013 with a BS in Fish and Wildlife Management. 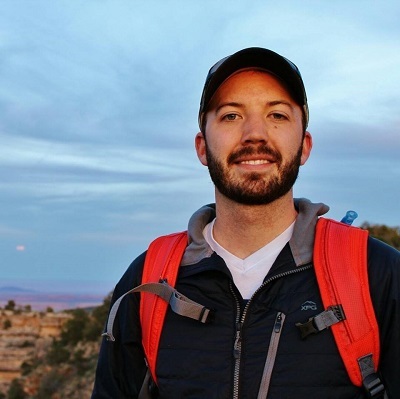 Before beginning his MS project at SDSU, Travis worked with a variety of state and federal agencies, include Idaho, Montana, US Forest Service, and the US Geological Survey. 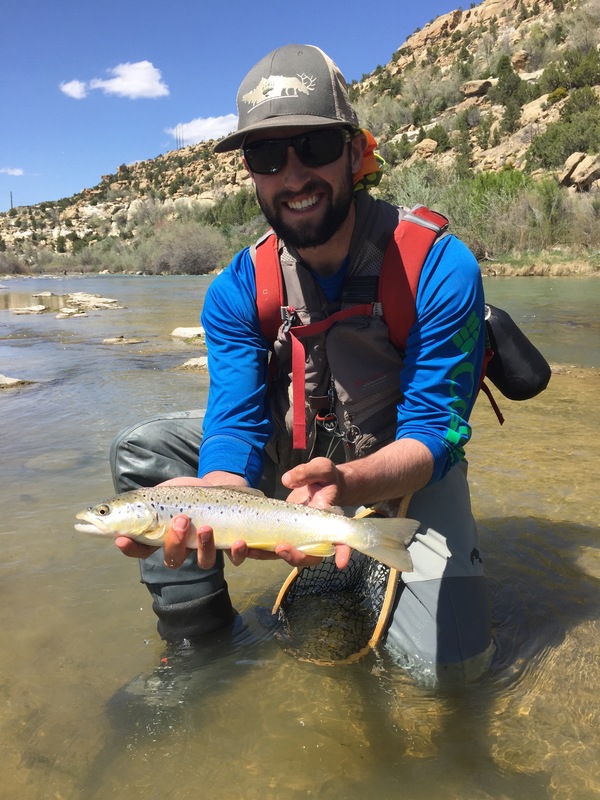 An avid fly angler, Travis is working on his master's degree studying Brown Trout ecology in the Black Hills with Dr. Steve Chipps. Aaron grew up in a small town in central Minnesota. He received his BS in Wildlife and Fisheries Sciences from South Dakota State University in 2012 while gaining valuable experience through summer internships with the South Dakota GFP. He went on to receive his MS in Fisheries and Aquatic Sciences from the University of Georgia’s Warnell School of Forestry and Natural Resources in 2015, where he studied the effects of lake morphometry and water quality on Bluegill growth in central Georgia impoundments. Currently, Aaron is working towards a PhD researching the human dimensions of small fishing impoundments across South Dakota under Dr. Larry Gigliotti in the Department of Natural Resource Management at South Dakota State University. I am currently pursuing my M.S. at South Dakota State University as a graduate research assistant to Steve Chipps (Unit Leader of South Dakota Cooperative Fish & Wildlife Research Unit). Our research is focusing on mortality rates of hatchery-reared rainbow trout stocked into the Black Hills of South Dakota. I received my B.S. in Biology from Black Hills State University.